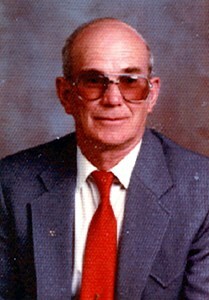 Carl Lee Brown, age 90, of Evansville, passed away March 26, 2019 at his family home. Carl was born July 20, 1928 in Olney, Illinois to Charles and Inez (Hanna) Brown. When Carl was younger, he was a farmer, and worked mostly on a Milk Farm. Carl met Lula, his loving wife, while driving the dairy truck to the milk plant. After moving to Wyoming, Carl worked in the oil and gas industry as a Truck Driver. After his retirement, he enjoyed spending time woodworking and making wooden toys. Carl enjoyed fishing with his family in his spare time. In addition to his parents, Carl was also preceded in death by his loving of wife of 34 years, Lula May Doty and his son, Mickael. He is survived by his son, Steven (Arnila) Brown daughter, Debbie (Rusty) Hayes, son, Lonnie (Pamela) Brown, son, Bradley (Vicki) Brown, son, Christopher (Janette) Brown, 17 grandchildren, 37 great-grandchildren, and many nieces and nephews. The family will receive friends, Friday, March 29, 2019 from 6:00 pm until 8:00 pm at Newcomer Casper Chapel. A graveside service will be held at 11:00am, Tuesday, April 2, 2019 at Dundas Cemetery in Dundas, Illinois. Memorial contributions may be made to Central Wyoming Hospice in Carl 's memory. To leave a special message for Carl's family, please click the "Share Memories" button above. Add your memories to the guest book of Carl Brown. We will always remember our friendship with Carl and your mom. He was such a hardworking man, and we shared many good times. Please accept our condolences. It is sad to hear about the loss of Carl. Our condolences to the Brown family. May the comforting words found in Psalm 94:19 consoles your hearts. So sorry to hear of Carl's passing, but I know a few people on the other side of the veil that are very happy to see him there. Love all of you and I'm sorry that I can not attend the funeral. Know that my thoughts and prayers are with you.